This kid is fantastic! He’s so young and so talented, mashallah! so far, it is absolutely hilarious..
Everyone hates the perfect family. So you’ll love the Battles. Mo is about to hit the big 50, and some uncomfortable truths are becoming quite apparent: She doesn’t understand either of her teenage kids, which as a child psychologist, is fairly embarrassing. 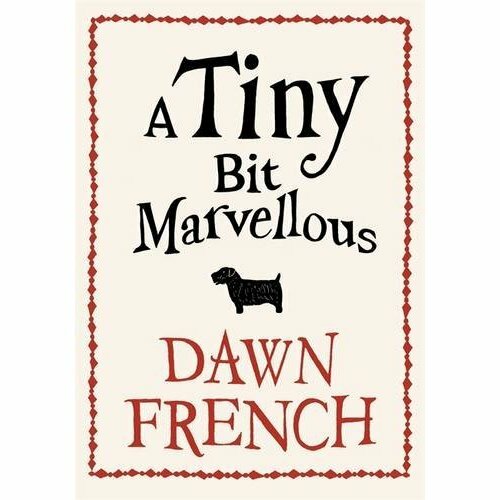 A TINY BIT MARVELLOUS is the story of a modern family all living in their own separate bubbles lurching towards meltdown. It is for anyone who has ever shared a home with that weird group of strangers we call relations. Oh and there’s a dog. Called Poo. You can buy this for about 9 pounds stirling (hardback) or 12 pounds stirling for your kindle! She is also an actress and plays the Vicar in the Vicar of Dibley which is a very funny, UK TV Series..